Are you looking for automotive service performed by factory-trained specialists but aren't thrilled about the idea of paying full price? Then you've arrived at the perfect dealership! To help you save as much money as possible on your appointment, we have several service offers for you to take advantage of. Take a look at the specials below, print out the one that most applies to your needs, and bring it in with you when you come in to our dealership in Sandusky, MI. For more information on our service center or specials we have available, please don't hesitate to contact Tubbs Brothers using the form on our website. We also encourage you to take a moment and give us a call at (810) 648-0000 to speak directly with one of our product specialists or schedule your automotive service using our online service scheduling form. For our Service Customers! 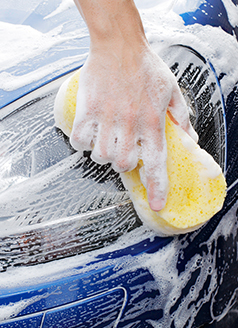 We will wash and dry your vehicle's exterior, clean your windows, vacuum your interior and wipe down your dash and doors! See your Service Advisor for details.